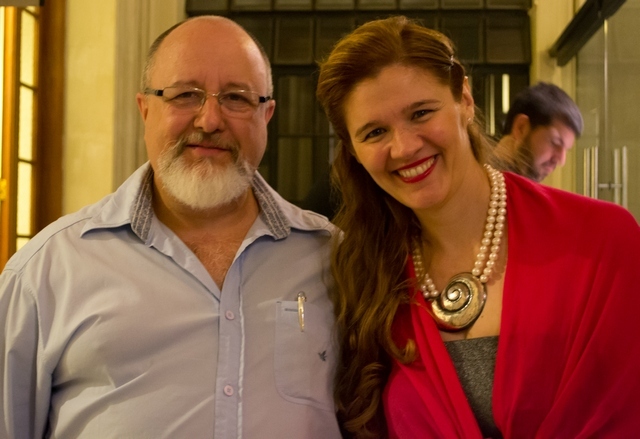 In front of over two thousand people who filled the Sao Paulo Concert Hall, Ivana Vidović had the honor to became the first Croatian pianist to perform in Brazil. 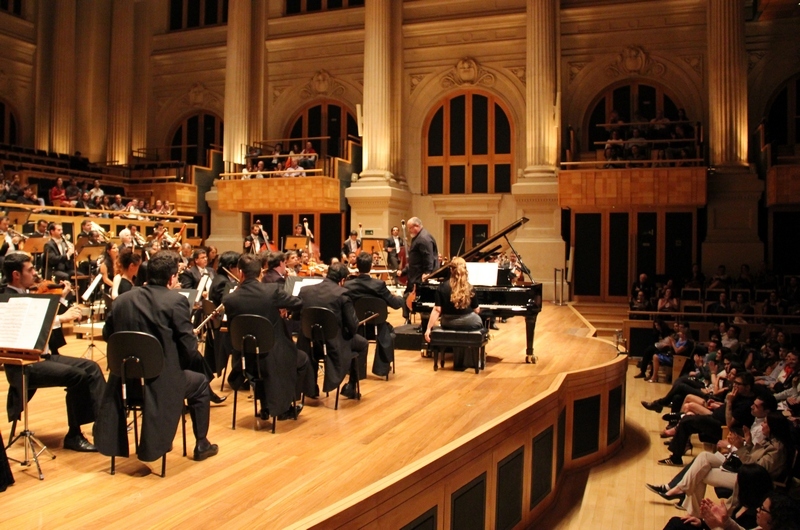 With the support of the Symphony Orchestra of the University of Sao Paulo - one of the best symphony orchestras in Latin America - under the baton of maestro Luis Fernando Malheiro, Ivana Vidović played the Piano Concerto in C-sharp Minor, Op.30 by Nikolai Rimsky-Korsakov in honor of his 170th anniversary. 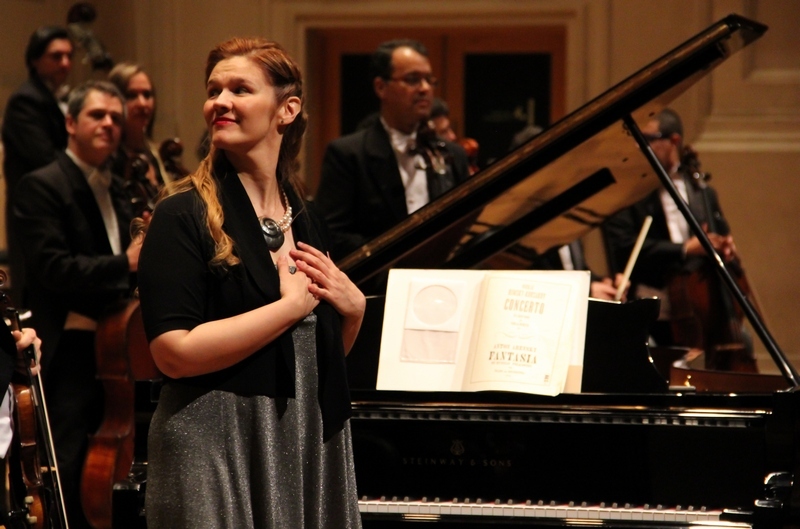 This musical piece, composed in tribute to Franz Liszt, is rarely played, making the event even more special. "The success was very great because the audience had more than 2000 people, Sao Paulo Concert Hall was packed and I felt very excited. 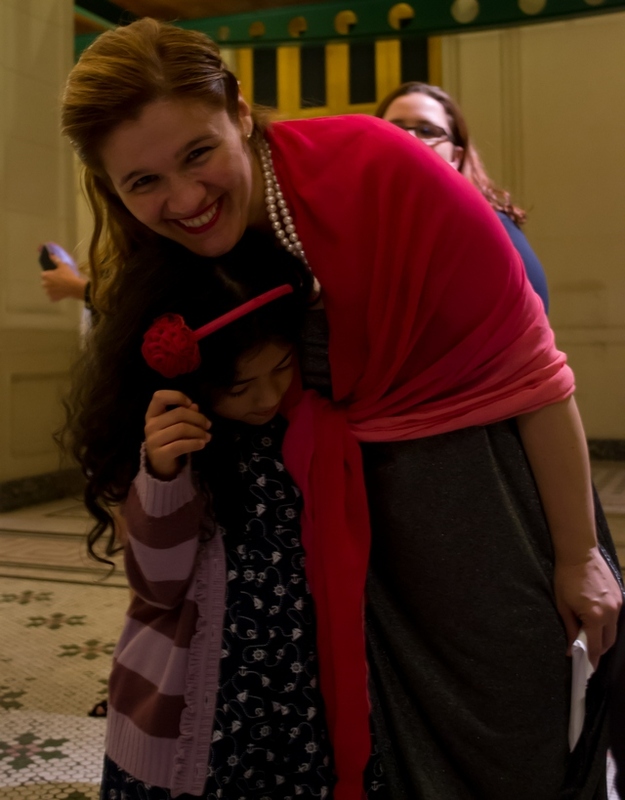 This was one of the best concerts I've ever done," said the young pianist. Ivana Vidović began playing piano as early as four years old, encouraged by her mother in Dubrovnik, a small town with about 42,000 inhabitants, probably the most beautiful city on the Mediterranean. She completed her studies during the time of the aggression on Croatia, in 1992, which had a great influence on her musical trajectory. "While I play, I'm praying for peace in Gaza and throughout the world," she said. "I believe that music has that power." During her years as a student, Ivana Vidović often presented despite a severe car accident in 1996 in which she broke her shoulder. 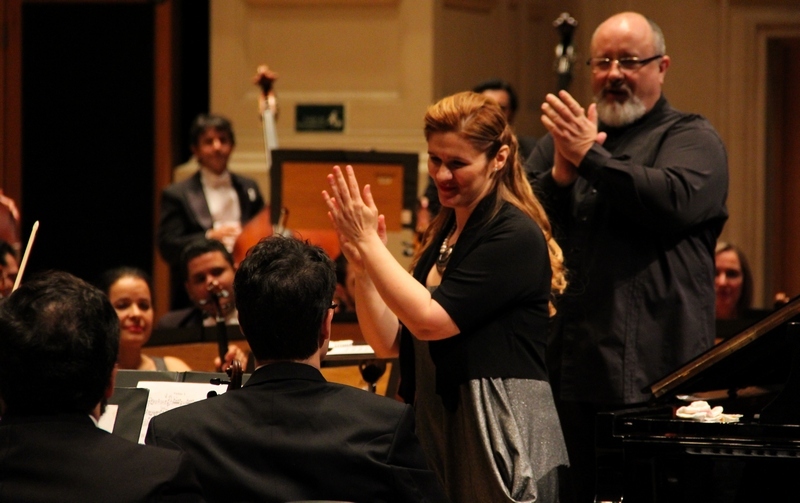 "At the time, the doctor told me that I could never play agan, but here I am, in the Sao Paulo Concert Hall, one of the most important in the world, and this is amazing," she said. "For me it is like a magical dream from which I never want to wake up. I want it to last forever," she explained. Vidović also thanked the opportunity to appear in front of the Brazilian public and to the organizers. "It gives me a great pride to represent my country on such a special audience," Vidović concluded. The pianist is also known for writing poetry and has published works in Croatia and Italy. In 2006 she became a member of the Association Akkuaria, where she won several awards and in 2010 she became Ambassador of Italian Culture. Ivana Marija Vidović with a young Brazilian admirer. Photos by Alessandra Lelis. Ana Marija Vidović is the founder and director of the Epidaurus Festival in the town of Cavtat, near the City of Dubrovnik.